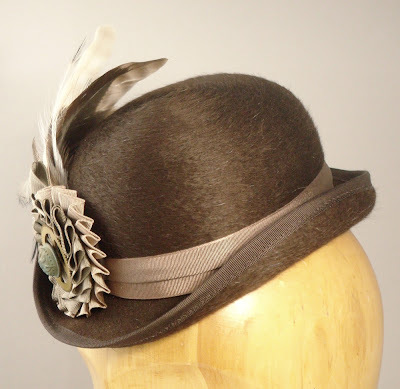 I just completed three new custom hats, here are some photos. 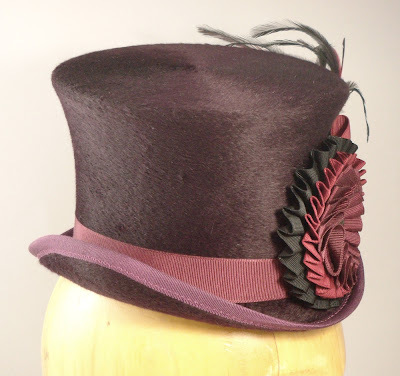 This Belle Epoque top hat was made for a client to wear to a Mad Hatter's Tea Party themed event. 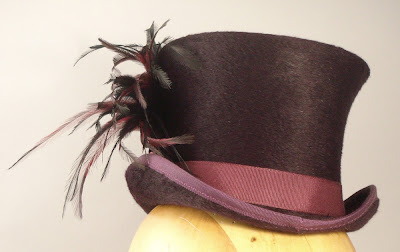 Made with eggplant purple 'beaver' fur, black and red emu feathers, and a ribbon cockade in black, red, and plum. 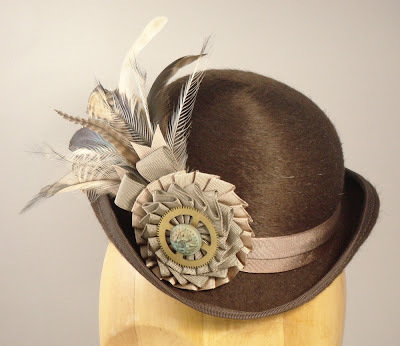 One of the organizers of the Nova Albion Steampunk Exhibition wanted a Kit Kat bowler to wear to the convention. 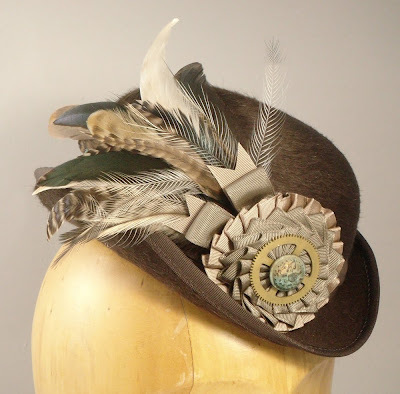 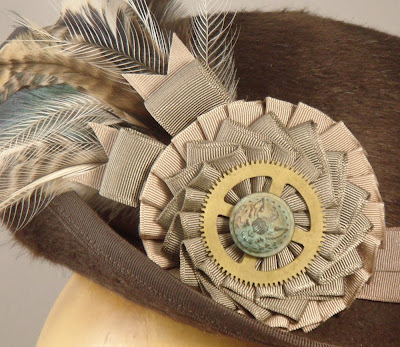 Made of chocolate brown 'beaver' felt, with rooster and emu feathers, and a ribbon cockade finished with clock parts and a vintage button. 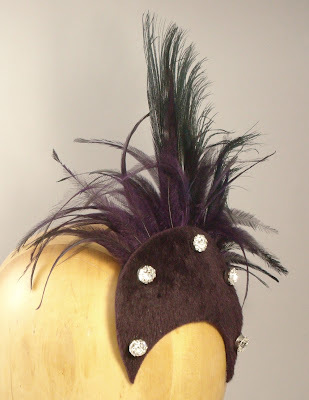 And, a new style of cocktail hat for a bride who's getting married in New Orleans in March. 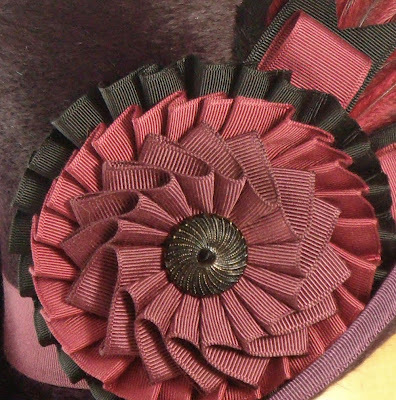 She's a gorgeous redhead, and her gown is purple with a big rhinestone clasp. 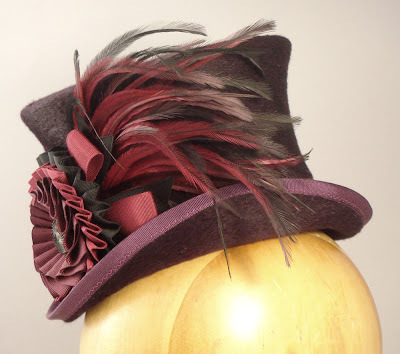 The hat is made of eggplant purple 'beaver' felt, and has rhinestone buttons to coordinate with the gown. 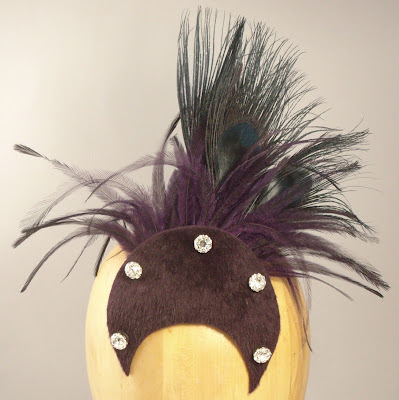 The black peacock and purple emu feathers are all sewn in individually by hand. 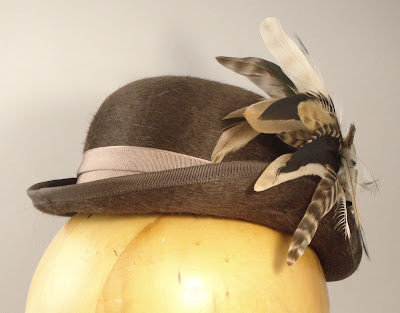 The hat is crescent shaped, designed to curve around the top of a bun the bride will wear at the back of her head, and it attaches with a hidden comb. 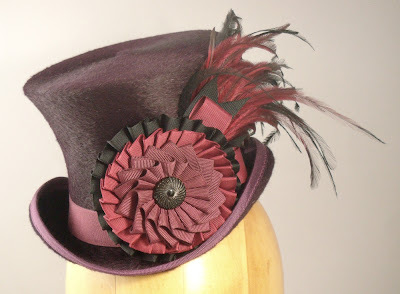 The eggplant top hat is INCREDIBLE!